It’s important as readers and writers that the fictional world we enter seems real. We don’t know why, necessarily, but we can’t invest ourselves in a story that doesn’t somehow feel true. In this week’s guest blog, writer and psychologist Ellen Kirschman divulges some of her methods for creating a police procedural thriller or mystery that gives the audience that elusive, essential foundation of believability. I’m a police psychologist and the author of three non-fiction books. A few years ago, I decided to try writing fiction. As an avid reader and mystery fan, I have often felt that novelists come closer to the truth of human experience than many psychologists do. And, to be frank, I was tired of doing research. I actually thought it would be easier to make stuff up. I was, as I soon found out, delusional. The challenge of writing non-fiction is getting the facts right and presenting them in an understandable, readable package. Fiction requires the writer to capture the reader’s imagination. Get her to care so much about the story and the characters that she’ll bare her teeth at anyone, or anything, that interrupts her before she finishes the book. Non-fiction readers can and do pick up a book and put it down again at will. My first “aha” moment as a fledging novelist came when I changed from third to first person point of view. My protagonist, Dr. Dot Meyerhoff, is also a police psychologist, though she is thinner and younger than I am. (And in possession of skills I never developed, such as breaking and entering, and assault with a deadly weapon.) Once I put myself in Dot’s shoes, as a woman and a civilian working in a male-dominated profession, where both are sometimes treated as second-class citizens, I was in familiar territory. 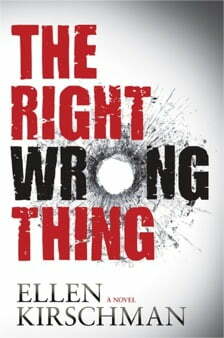 My second book, The Right Wrong Thing (October 2015), drills down into the contemporary debate over police community relations. A young officer shoots and kills an unarmed, pregnant teenager. The officer, who suffers from PTSD, is determined to apologize to the dead girl’s family, despite everyone’s efforts to stop her. The results are catastrophic. Dot, ignoring orders from the police chief to back off, enlists some unlikely allies and unconventional undercover work to expose the tangled path of her client’s disastrous journey. Readers ask me if my books are inspired by actual events. The answer is yes and no. There is truth in both my mysteries, real things that happened to real people. But the stories are embellished, disguised, and blended so that they are unrecognizable to the people who lived them. For years I’ve been keeping a file folder of the funny, off-the-wall things cops say. Officer Eddie Rimbauer, Dot’s occasional and troubled ally, is a composite of many people I know. He sounds so real, though, that there was an online pool of cops competing to guess his real identity. If you’re writing fiction and want to get the details right, you don’t have to have a Ph.D or spend thirty years counseling cops. You could attend a citizens’ police academy at your local PD for hands-on experience, for example. Go on a ride-along. After all these years I still learn something new every time I do. Learn about guns. Practice on the range. Try your hand at a firearms training simulator (FATS). If you’re qualified and have the time to invest, think about becoming a reserve officer. Whatever you do, don’t watch cop shows on television. Most are so over the top, real cops can only laugh at them. Read widely. My books I Love a Cop, I Love a Fire Fighter, and Counseling Cops all contain real-life scenarios that can enhance your stories and deepen your characters, as does Sergeant Adam Plantinga’s highly readable book, 400 Things Cops Know: Street-Smart Lessons from a Veteran Patrolman (2015 Silver Falchion Award winner for Best Nonfiction Crime Reference). 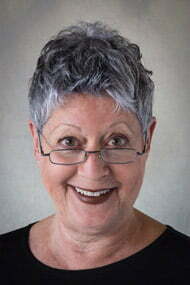 Ellen Kirschman, Ph.D, is a clinical psychologist in independent practice. She is a member of the International Association of Chiefs of Police, the Society for the Study of Police and Criminal Psychology, the American Psychological Association, and the International Association of Women in Law Enforcement. She is the recipient of the California Psychological Association’s 2014 award for distinguished contribution to psychology as well as the American Psychological Association’s 2010 award for outstanding contribution to the practice of police and public safety psychology.